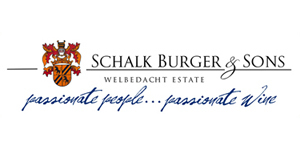 We are delighted to be supplying Schalk Burger & Sons wines for the Arnold Hills – Heroes Saracens v Harlequins match at London Stadium on 23 March. You can view the full menu here: The Arnold Hills – Tulip Club A4 landscape folded – Saracens. Guests will be enjoying the following wines, please click on the links to view more and to buy! The Sporting Wine Club team is thrilled to be introducing it’s latest Sporting Wine, the Louis 57 range, named of course after the great Louis Oosthuizen. Why 57? He shot that score at Mossel Bay GC on the Garden route! Louis’ vineyard is based at Boschkloof one of the oldest wine growing regions of South Africa next door to Stellenbosch. This means we now have a wonderful spread of South African wines when added to the Hemel en Aarden Valley and Wellington near Paarl. 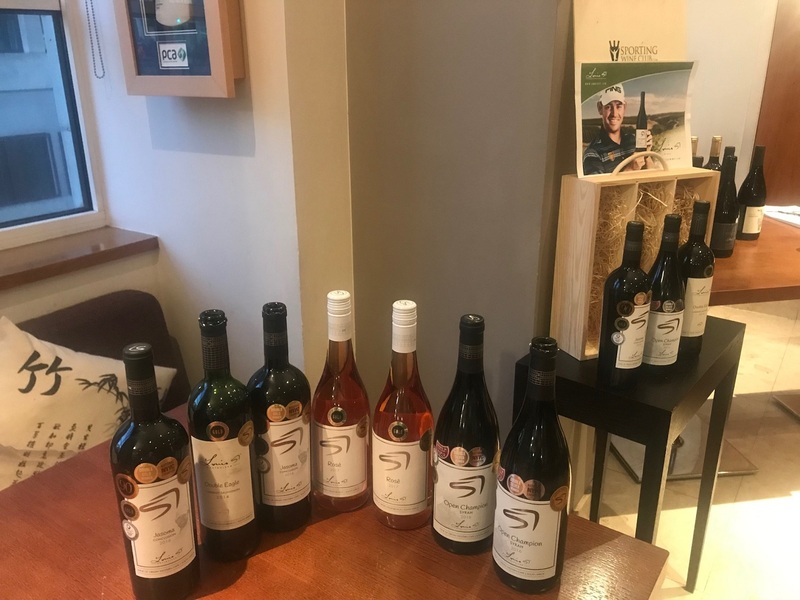 Louis has a special selection of wines to include the iconic ‘Open Champion’ Syrah after his win in 2010, the Double Eagle Cabernet Sauvignon after his incredible shot at the 2nd hole of the Augusta Masters when he shot a 2 on the Par 5 and the Jasoma Conclusion, named after his three children. 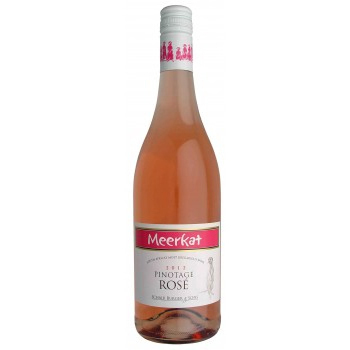 We also love his Rosé, as he says combining the strawberry with hints of candy floss. I personally love his Sauvignon Blanc too. As you know we are keen to emphasise our links to the winemakers charity. The Louis Oosthuizen Foundation supports disadvantaged young children’s charities in Africa and we are delighted to put our weight behind that. Our members recently enjoyed all the wines being displayed, and we look forward to a long association with our new sporting connection. 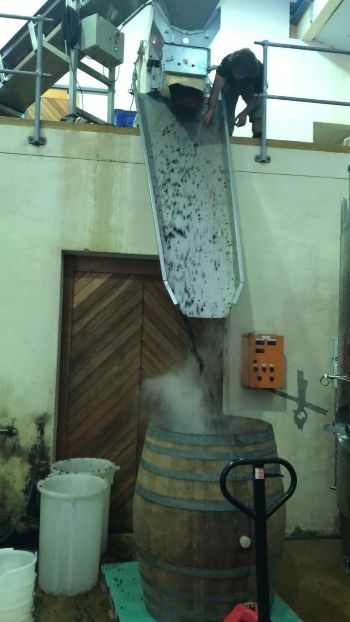 Exciting news from Sumaridge Estate as not only is the 2019 harvest underway but they are also taking advantage of the latest winemaking techniques using gravity (rather than mechanical pumps) in the fermentation of their famous Pinot Noir. Using gravity rather than force means the extraction of colour, tannin and flavour is a more natural, gentle process resulting a more delicate, nuanced wine. The Chardonnay has just been handpicked from the best blocks of the vineyard; selected again in the cellar, destemmed and gently crushed. Simon tastes their juice less than three hours after the grapes were picked! To celebrate the start of the harvest – described by Sumaridge winemaker Walter Pretorius as an exciting year for both the Pinot Noir and Chardonnay – and as it is the 2019 vintage we are offering a 19% discount across the two wines. Click the links below to claim this offer! 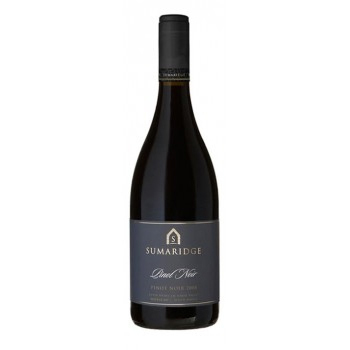 A stunning improvement on a classic Pinot Noir with exciting darker fruit notes. 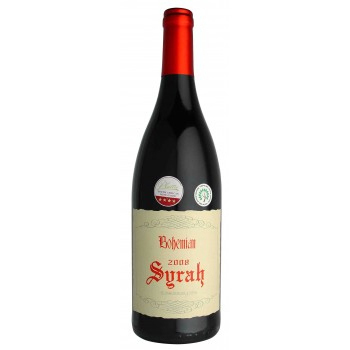 It combines rich flavours of black cherry with smoky spice and savouriness to deliver a luxurious wine with a silky finish. An exquisite Chardonnay bursting with the freshness of lime, quince and citrus blossom. It has tones of minerality beautifully balanced with a richly textured mouthfeel. Before we look at the present harvest that is on our doorstep it is important that we look at the previous harvest and what that left us with – we all know that a vine is very susceptible to its experiences in the previous years. The drought, which is now in its third year, has played havoc with the reserves in our precious vines, as they have not had the following important contributing factors such as good early rain and cold in May/June to let them build up their reserves during an ideal long winter resting period. The 2018 harvest was the earliest that we have ever started harvesting, being the second week of January 2018, and also finishing before the end of February. This was when we then realised that it would be a long period of drought for the poor vineyards before they finally got to rest. When the winter came it was much better than 2017 but still a mixed bag that represented itself. June was a good on par rain month but then July was one of the driest the Western Cape has ever seen. The good part was that there were no real heat spikes that could have allowed for early budding, the proverbial green flags and the end of the shoots, and then August was quite normal. We did not receive enough rain to fill up our dams, only the third time that this has happened to us and these three times have been for the last three years only. In total we received about 65% of our long-term average of rain. Since 1930 our farm has been a rain measuring station for the South African Department of Meteorology and therefore we have got all these stats for 87 years. During the winter we could embark on an earlier pruning programme due to the vines shutting down earlier than the previous year and we also pruned most of our vines with an Italian procedure where we do not clean out the vines too much so as to not hurt the vine and allow for additional natural shoot growth. The early spring saw a very good bud break and then we had a very indifferent October wherein there were 10 days of excessive heat, which hurt all the vine nurseries around us, as the young grafted vines did not yet have the root structure to handle the heat and thus shrivelled up. Our vines started budding profusely and then later some real cold weather stopped this action and has led to some blocks of vines to be a little uneven in growth and colouring. It has been a very healthy winter in Groenberg, meaning there have not been too many diseases in the vines, which is different to some other areas that have been hit very hard with downy and powdery mildew, so our fruit is looking very healthy which is good sign for making great wines. Some of our blocks are still recovering from the harsh summer and winters that they encountered, although we for the previous 3 years pruned very conservatively to save the vines from stressing too much. Our Merlot blocks were looking very promising to deliver a good healthy big crop but the devastating high winds experienced in November led to the vines having smaller that usual bunches with less berries per bunch than normal. Merlot is very susceptible to the effects of wind in the flowering period of the vine. We believe that this could be a blessing as it could lead to some more intense flavours and good colours. Overall we are looking at about a 50% increase in production versus 2018 which is off our lowest production ever on our farm. During the latter part of December as well as the first week of January we twice received 10 mm’s of rain and the night temperatures have been very moderate with many mornings having dew on the vines which allows for great translocation to take place in the vine, with the stomata of the leaves opening up in the mornings and closing down nicely in the evening to get good levels of positive and negative sap flow. This being generated between the leaves, the berries and the hair root system. So overall we are looking forward to our 2019 harvest and some cultivars to look out for could be our bush vine blocks of Chenin Blanc, Syrah and Cabernet Sauvignon which are all looking very promising on the vine. Our first cultivar harvested was the Sauvignon Blanc which we brought in on 23rd January 2019 and the fruit was of outstanding quality. 2019 is going to be a year where the gutfeel and knowledge of the various vineyards will determine when we harvest to ensure the best quality of the wines. We all at Welbedacht are looking forward to the harvest as it is the culmination of a year of a lot of hard work and we will keep you updated as the harvest unfolds and as some special treats fall upon us as what happens every year. Here are 2 photo’s of the difference between the Northern Hemisphere and the Southern Hemisphere borne out in family photo’s during the 2019 Harvest. 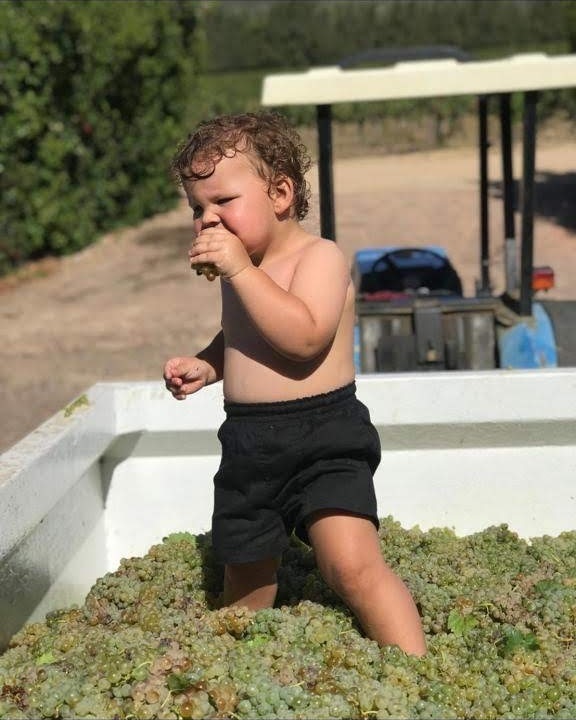 The first is Francois, 19 months old, savouring and tasting the 2019 Sauvignon Blanc ready for pressing – serious work in warm conditions. 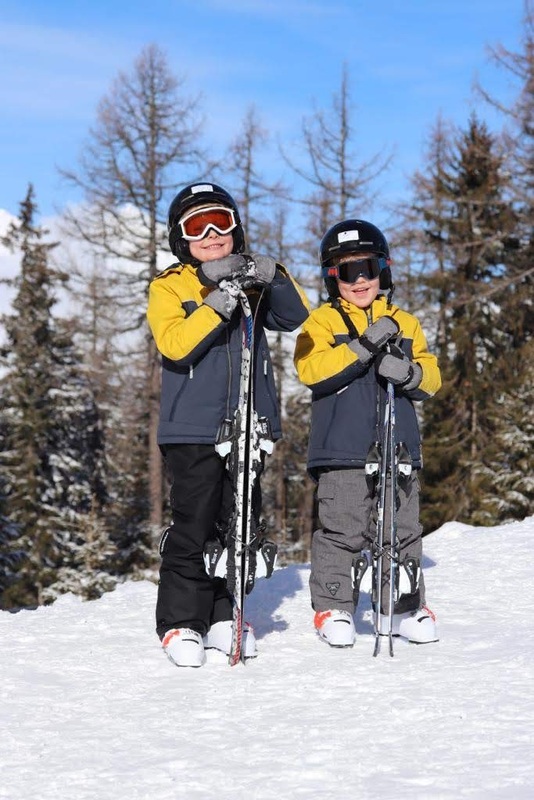 The second is nephews from St Albans skiing in the snow in France with their Dad and Mom, unaware of the important business of harvesting but also enjoying themselves! 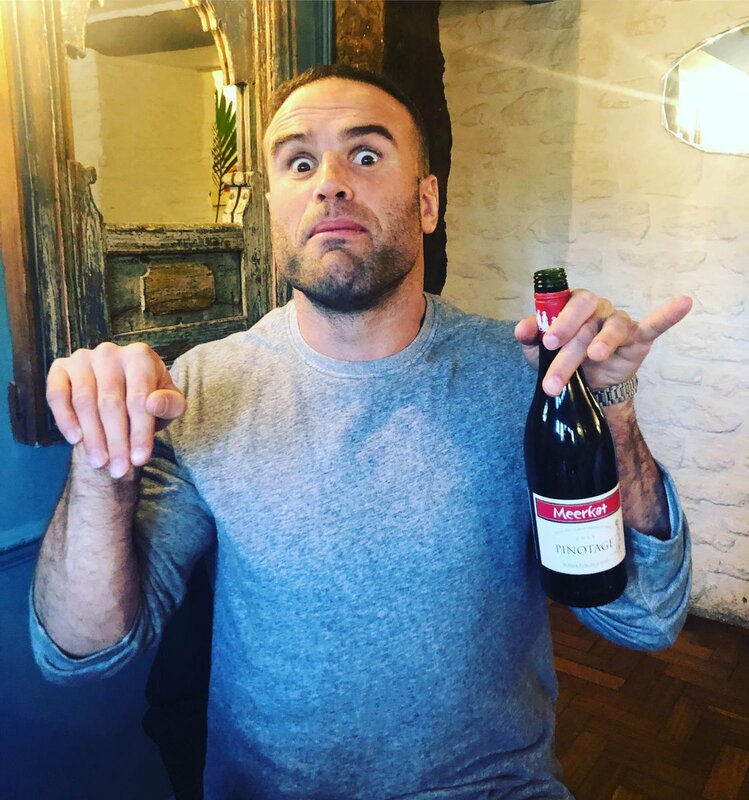 Jamie Roberts In A Meerkat Mood! Our South African winemakers really are on a roll! 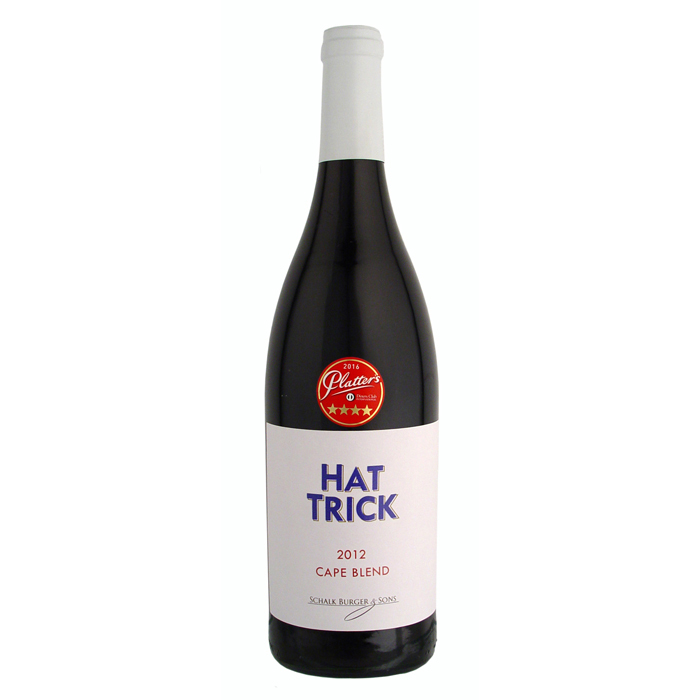 One of the most affable South Africa rugby players you will meet, Schalk Burger Sr named this outstanding Rhône-style blend after the shirt number invariably worn by his Springbok son Schalk. 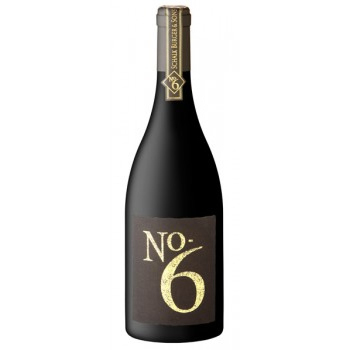 Six varietals, of course, go into this wine – Syrah (majority), Grenache, Mourvedre, Cinsault, Pinotage and Viognier. 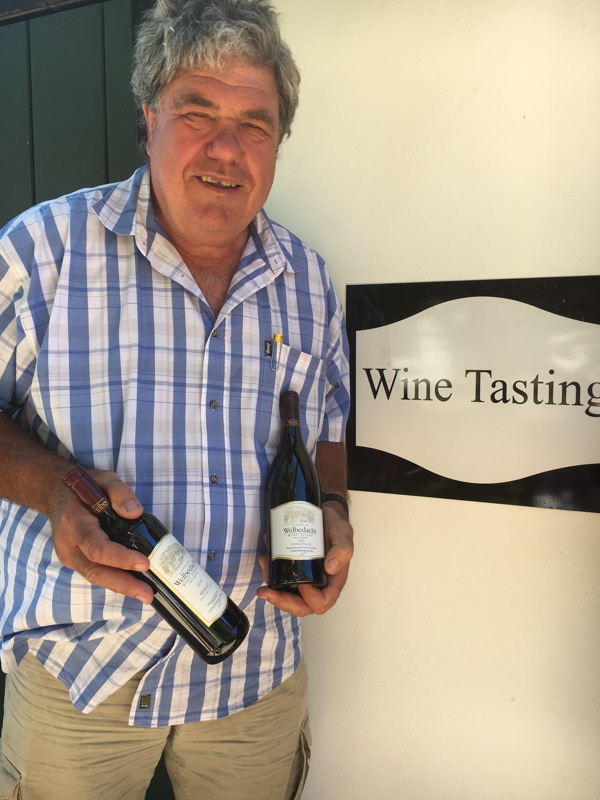 You can read about his full top 10 here and purchase from our full range of Schalk’s fantastic wines here. 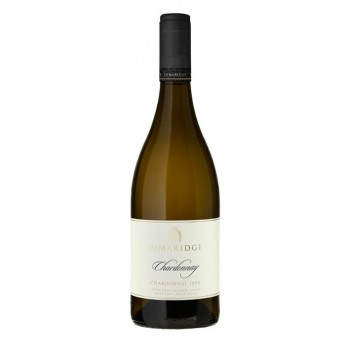 Sumaridge Estate Chardonnay – Officially World Class! 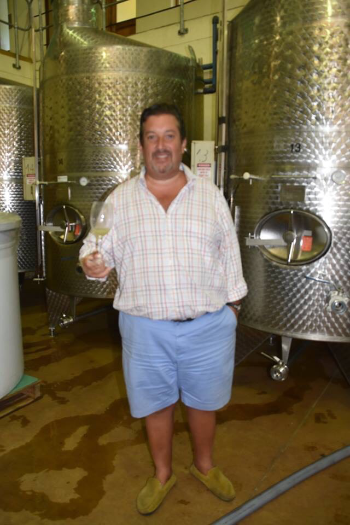 We always knew our Sumaridge Chardonnay was world class and now The Buyer magazine’s roving contributing editor and world class chef, Roger Jones, has confirmed it! Hemel en Aarde showcase their Chardonnay against some world class opposition. On a glorious South African summer’s day our intrepid traveller, Roger Jones provided a stellar line up of New World Chardonnay to pit against the region’s best Chardonnay. The tasting was blind, in flights of five wines served in Riedel Chardonnay glasses, marked out of 20 and judged by 11 winemakers and nine international guests. There was little dispute in the scores with Hemel en Aarde clearly the winner on the day, the clean vibrant precision of these wines shining brightly. The purity and natural essence of these wines enthralled the judges. Newton Johnson Family Vineyards, Upper Hemel en Aarde Valley 2017…..
You can read the full article here and purchase this fantastic wine for just £18.95 per bottle here. Due to an overwhelming response to our Fall Release, the 2016 Stolen Horse Syrah has sold out and we have limited quantities of the 2017 Elizabeth Chardonnay and 2016 Flying B Cabernet remaining. 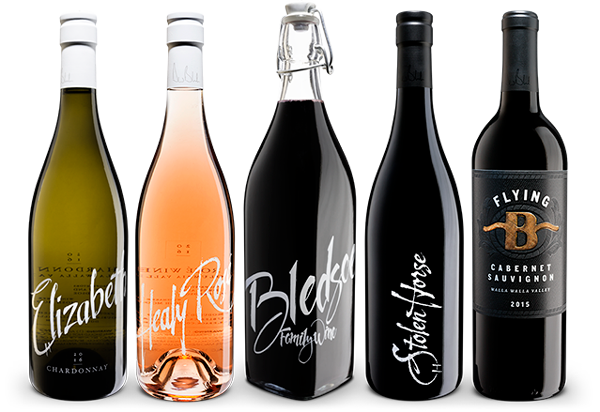 To purchase the new releases email us, or call the winery at (509) 525-3334. 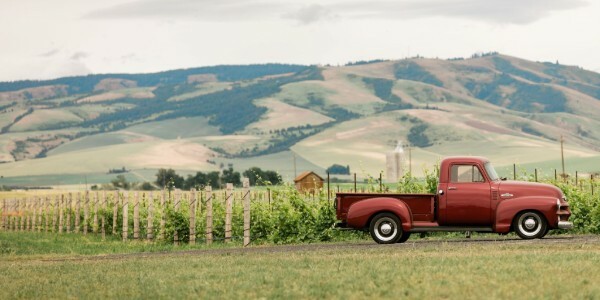 We hope to see you at our downtown tasting room this fall as we celebrate harvest in the Walla Walla Valley. Cheers! barrel sample of the 2017 Lefore Syrah releasing next year.